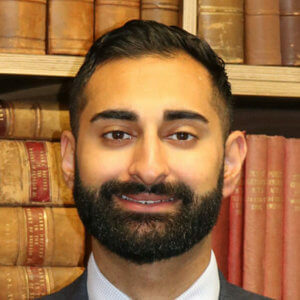 Jalal Chaudry | Glasgow Solicitors | Latta & Co.
Jalal graduated with an honours degree in Law from Strathclyde University. During his undergraduate degree, he was a dedicated member of the University of Strathclyde Law Clinic, and worked as a research assistant for Professor Peter Robson. He thereafter completed his Diploma in Legal Practice at Glasgow University. Prior to qualifying as a solicitor, Jalal worked as a welfare rights officer and volunteered for the South Glasgow Public Partnership Forum Executive Group. He is committed to tackling access to justice barriers, and empowering marginalised client groups. Jalal completed his traineeship in 2016 with Legal Services Agency, in the Housing and General Court Department; gaining experience in the fields of housing and homelessness law, discrimination, social welfare law, Criminal Injuries Compensation and civil litigation. He also has a keen interest in asylum, immigration, criminal, mental health, family and employment law. Jalal regularly appears in courts and tribunals in a variety of matters.